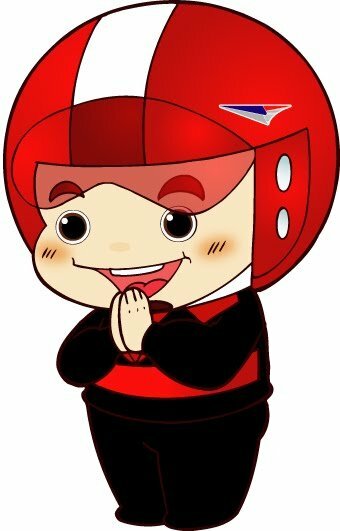 “Courier Post” is a brand-new premium international postalservicethat Thailand Post Co.,Ltd. 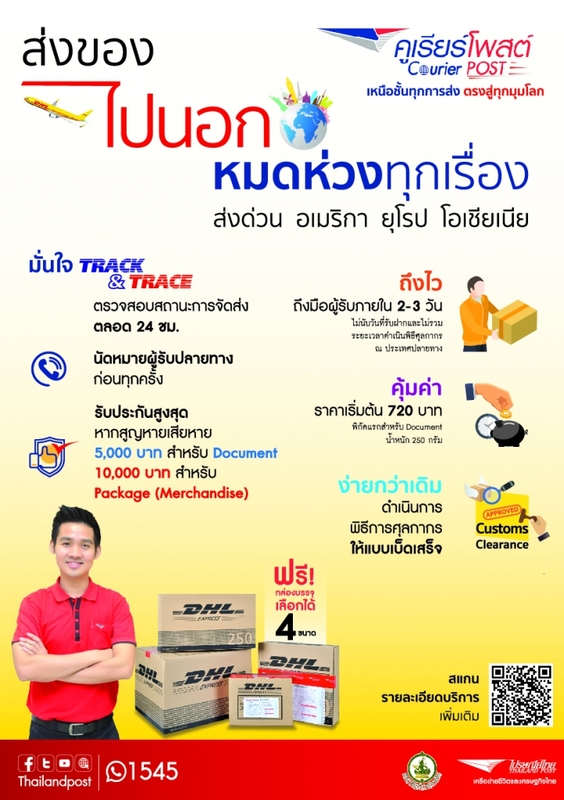 (THP) offers to the market in collaboration with DHL Express International (Thailand) Co.,Ltd. to allow Thai customers to experience global delivery standards through the delivery network of DHL. With Courier Post, the customers can send both document and package (merchandise) over THP’s counters. Based upon the single network of DHL, the shipments containing goods will then be cleared through express customs channel at destination country whereas customs duties and taxes, if any, are paid by the recipient upon delivery. Likewise, on demand delivery (ODD), the value-added service that we offer for free will allow the addresseetohave flexible delivery options, whenever and wherever he/she may require. Today Courier Post is available at 171 post offices in Bangkok Metropolitan area. The Courier Post shipments can be tracked 24/7 via Track & Track applicationand www.thailandpost.co.th. Postage ratesare calculated by the actual weight. Volumetric weight, additional fees e.g. fuel surcharge, a far-off area delivery fees, VAT, shall not be applied. For acceptance before 4.30 p.m., the delivery will be made within 2 – 3 days after the posting date, exclusive of the customs clearanceprocess. The packing shall be done on spot at the counter to ensure that the shipment is properly packed and no prohibited articles are included. Service coverage: To 25 top destinations. More Service coverage: To 40 destinations on 15th September 2018. In case of loss or damage in the course of Thailand Post’s custody, the maximum compensation amount shall not exceed the declared value, to the maximum limit of 5,000 THB for Document and 10,000 THB for Package (Merchandise). Insurance service can also be used at the maximum of 1,000 SDR (SDR = Special Drawing Right, 1 SDR equals to 47.5729 THB as of 2018). Launching date: as from May 2, 2018 onwards. * FRANCE does not include French overseas territories.